Very finely chop the onion(s), celery and carrot(s) – I use an electric chopper to get them really fine. Roughly you are aiming for 1 carrot and 1-2 celery stalks per 1 onion and 500ml of tomatoes, but it also depends on how much ‘texture’ you want your sauce to have. Fry up the finely-chopped onion, celery & carrot in abundant olive oil on a low heat so that they soften. Make sure they don’t burn. This will take about 5-10 mins, depending on quantities. Note: if you were using garlic (this does not form part of the traditional Italian ‘soffritto’), you would also finely chop this and fry it up along with the carrots, onion and celery. Add the tomatoes / passata and season with salt. Cover and simmer on a low heat for 1.5 – 2 hours. If you’re going to use this for pizza, you could stir in some oregano at the end of the cooking time. Use as required, freeze what you don’t use. 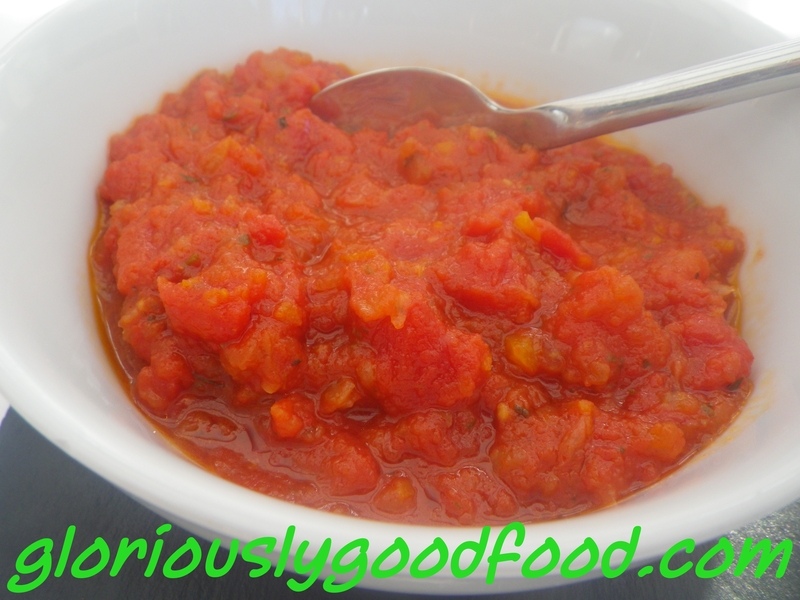 Sugo al Pomodoro | Gloriously Simple, Gloriously Good! This entry was posted in Italian, Pasta & Rice, tomato, Vegetarian and tagged italian sauce, pasta sauce, pomodoro, salsa al pomodoro, sauce, sugo, sugo al pomodoro, tomato, tomato sauce. Bookmark the permalink.